Vampire Dominic Kaius is a cleaner, collecting humans others leave behind and bringing them into the Kaius haunt. When a mission triggers a connection between him and the woman he’s sent to acquire, he’s torn between his unyielding desire for her and his need to stay away. Waking in an unknown bed Molly Wagner faces two choices: death or Tender training. Opting for survival, Molly’s thrust into vampire hierarchy, where women are schooled as courtesans. 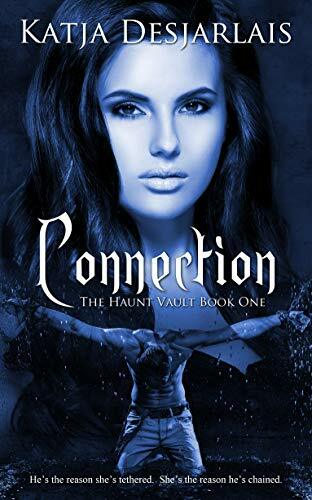 She finds solace with Dominic, but when the madness of their connection consumes him, the haunt sells her to an unvetted master. Embroiled in a battle to save his kind from extermination and driven by their connection, Dominic risks everything to save Molly before her new master destroys her body and soul. Can he balance his need to protect her and his responsibilities to his hauntmates or will they both become collateral damage in a rising war?